If you look at the AFL, cricket or rugby league, most chat is about what is happening on the pitch. So today I thought I would try to put this to rest by trying to figure out the way to get better crowd and TV numbers. Always trying to find out ways to get bigger crowds, the FFA has started a push for a Big Bash League-style atmosphere at A-League matches. I must say, when I bring people who don’t like football or cricket to a football match, they prefer the atmosphere at the A-League over the BBL. Sitting in front of the Perth Glory’s active supporter group, The Shed, is good enough to create a great atmosphere that isn’t enforced by playing music while play is stopped. That said, I am a Perth Scorchers tragic who absolutely loves the BBL. Atmosphere isn’t the issue. I’m 14 years old and was previously an assistant coach for my brother’s under-13s team in the local ‘Summer Soccer’ tournament a few months ago. When the players rock up, the main talk I hear is about Fortnite. The video game that took over the world has taken over my team as well. I didn’t know a whole lot about the other team before the game went viral, but I know that my brother is not as much into football as he was before the game arrived. When the vibe of the team turns to football, it’s about Real Madrid, Barcelona, Bayern Munich, Chelsea, Juventus, Manchester United, Manchester City – the big European teams. There’s not much talk about how the local boys at Perth Glory are smashing it in the A-League right now. This is clearly an issue. The league is not big enough to be gaining my team and a lot of other people as fans. 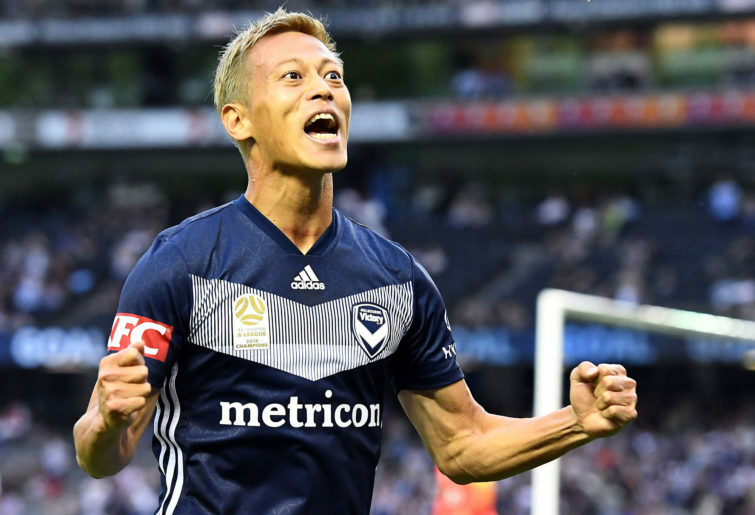 To address this the A-League tried to bring in a marquee player, Keisuke Honda. I know. Seriously, who is coming to watch Keisuke Honda? In December last year I wrote an article on why the FFA should try and get Zlatan Ibrahimovic to join the A-League. But he wouldn’t be enough. Zlatan would only be able to maybe get the people like my team to go and watch him once. We need a whole league of Zlatans. But the FFA isn’t rich enough for that. The FFA puts $3 million of its $57.6 million received from broadcaster Fox Sports into the marquee fund. They used that to help Sydney FC and Melbourne Victory buy big players who they would otherwise be unable to afford. But to create a league as big as the EPL, Bundesliga or La Liga we need to take baby steps. Cheaper tickets is the next step, and bigger players is second. The Wellington Phoenix have always struggled to generate big attendance figures. They haven’t cracked the 10,000 mark since Round 1 in the 2016-17 season against Melbourne City. To respond to this problem the Nix decided to let kids attend a Saturday night match against Central Coast Mariners for free earlier this month. At the time of writing Wellington had just 5541 signed-up members, the lowest figure in the league. The Mariners’ 6843 members represent the second-lowest figure in the league. The match attracted 10,186 people to the stadium when Wellington’s average crowd figure this season is 7141. It was their biggest crowd in two and a half seasons. It’s a significant difference. But what if you don’t live in a city with an A-League team? That is a big reason I’m not a big fan of the new A-League expansion teams. The game must reach more people. North Queensland, Southern NSW, Southern Victoria, Tasmania, Canberra or Northern Territory, just to name a few. Maybe that’s for another article. When people who don’t follow football get attracted by ‘kids go free’ or other cheap ticket deals they might just become interested in watching the league a little bit more afterwards, and a better quality league has to be the answer to attracting those people who follow football but not the A-League. My recommendation would be to go as slow as possible so we don’t get anything wrong. How about making tickets three per cent cheaper next season? It would be a small but valuable step towards the massive league we want the A-League to be.